They were already known to be sharing technology with regards to their separate Linux OS efforts but now Intel and Nokia are to merge their respective distributions. Intel is desperate to get its chips into devices that aren’t a traditional PC and Nokia needs a viable and developer-friendly platform to replace Symbian as the latter moves further down into mass-market smart phones that in-turn are replacing feature phones. It had already been leaked to death, but frankly, if the walk-through video that’s been published today is anything to go by, I don’t think any of the previous pics or screen shots do this thing justice. 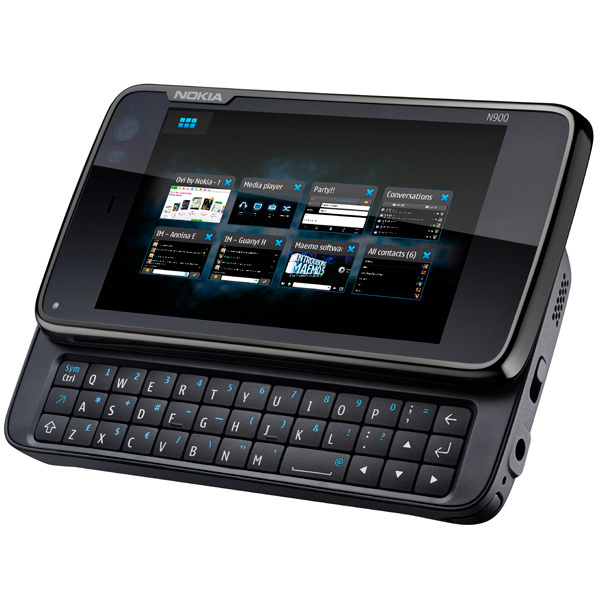 I’m referring to Nokia’s new Linux-based smartphone come Internet tablet, the N900, which the handset maker officially unveiled today. The device is powered by the company’s Maemo 5 OS, of which previous versions were used for its non-phone Mobile Internet Devices (MIDs), such as the N810 that I reviewed all the way back in February 2008. And boy has Maemo come a long way. Best of all (shock, horror), it looks like Nokia can design User Interfaces after all.